On a warm spring morning, a dozen volunteers till the dark earth of Ruby’s Garden at Asbury United Methodist Church, readying it for seedlings and sprouts. Come summer, their work will pay off in fresh squash, beans and tomatoes — and nourishment for neighbors in need. In rural North Carolina, an intensive training program is helping Asbury and other small congregations build their capacity to become agents of change. 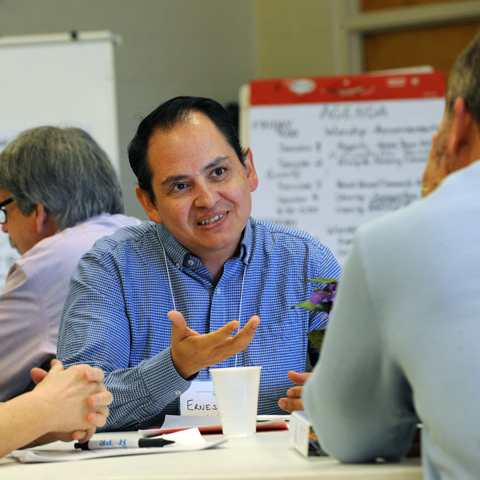 Through Project Bountiful, these United Methodist churches are learning about their communities’ challenges, identifying their own strengths, and designing “outward-facing” plans for sharing their gifts. The Center for Leadership Excellence at the North Carolina Conference of the United Methodist Church is leading the work with funding from The Duke Endowment. The program’s first three years included pastors and lay members from 39 churches before ending in 2017. Retreats allowed time for sharing ideas and setting goals; coaches explored best practices for building teams and engaging in community work. Evaluation results were promising. Project Bountiful strengthened relationships among church members, boosted interest and involvement in missions, and increased commitment. Participants said the training provided important skills for outreach and helped them create strategic action plans based on their church’s strengths. One congregation, for example, started a healthful lifestyle program; another offered English as a Second Language. Other efforts included developing a ministry for neighbors with special needs and forming a choir with Latino youth and parents. At Asbury, in Washington, N.C., the action plan addressed the county’s 17 percent food insecurity rate. The church expanded Ruby’s Garden to stock a local food pantry and shelter with hundreds of pounds of much-needed produce. In 2017, the congregation helped nearly 200 children receive lunch daily when schools were closed for the summer. 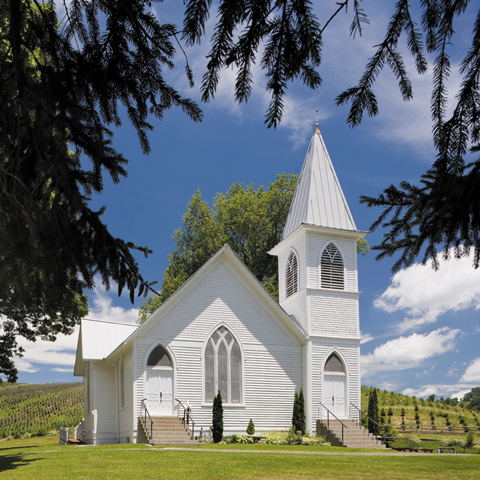 With a new grant from the Endowment, leaders are using insights from the first phase of Project Bountiful to offer it to 30 other rural churches beginning in September 2018. At the 2017 Convocation on the Rural Church, an annual event sponsored by The Duke Endowment, 200 United Methodist clergy gathered in Myrtle Beach, S.C., to discuss racism and religion and the role that they — and their rural North Carolina congregations — can play. Guest speakers helped them think deeply about inclusion and community; workshops provided ideas and resources. To continue the work, the Endowment is supporting district-level diversity training for clergy and congregations that will help them develop action plans to foster racial healing.